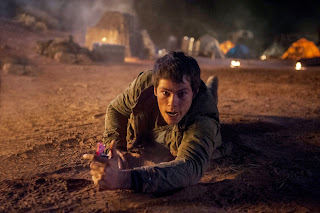 Home / FIRST-LOOK PHOTOS / MOVIE TRAILERS AND INFO / Phase 2 Begins in “Maze Runner: The Scorch Trials" First Trailer Revealed! Phase 2 Begins in “Maze Runner: The Scorch Trials" First Trailer Revealed! 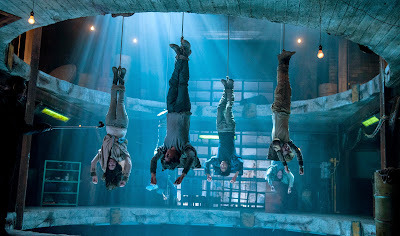 Prepare to burn in the upcoming and most awaited thrilling adventure of the year, “Maze Runner: The Scorch Trials” where the course of the Gladers’ lives who successfully survived the Maze will define the rest of humanity’s future. 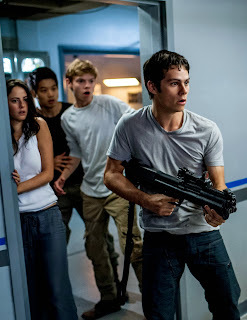 Reprising his role as Thomas, Dylan O’Brien returns along with fellow Gladers Kaya Scodelario, Ki Hong Lee and Thomas Brodie-Sangster set in a more challenging post apocalyptic future where they sprint for another run of their lives. Director Wes Ball is at the helm once again in this next chapter of the epic “Maze Runner” saga where our young heroes search for clues about the mysterious and powerful organization known as WCKD. Their journey takes them to the Scorch, a desolate landscape filled with unimaginable obstacles. Teaming up with resistance fighters, the Gladers take on WCKD’s vastly superior forces and uncover its shocking plans for them all. “Maze Runner: The Scorch Trials” opens at cinemas on September 9 in the Philippines from 20th Century Fox to be distributed by Warner Bros.